The eighties was a decade of over the top fashion, hairdos, music videos and all around fun times. 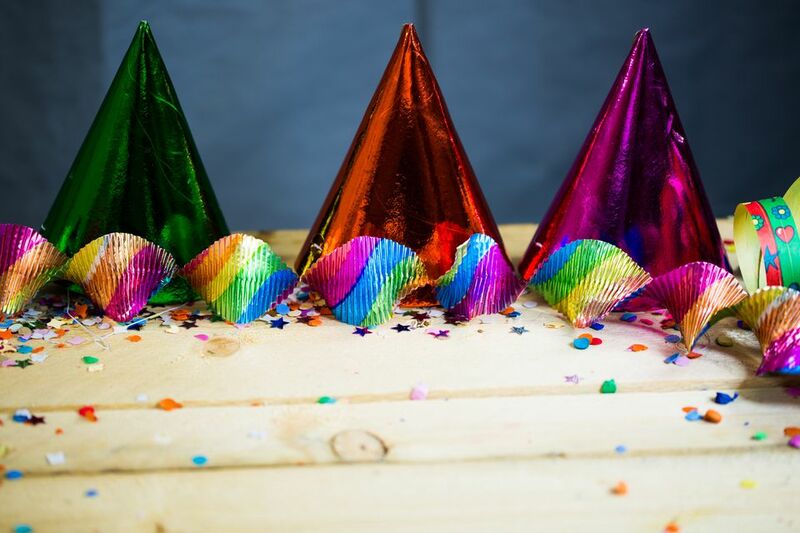 Invite the kids of today to enjoy some of these trends with these 80’s party activities. If your party guests are not all that familiar with the videos of that decade, let them watch a few MTV classics before starting this activity. Then, give them a bunch of 80’s style dress up clothes and props. Have them split into groups and make their own versions of an 80's video. Give them some time to rehearse, then film them performing their video (they can lip-sync to one of the songs). After you have filmed them all, play the videos for everyone to watch and vote on which one they liked the best. Celebrate the outlandish fashion trends of the 80's by having party guests dress up in things like neon, spandex, lace, fingerless gloves and as many eighties-style clothing and accessories you can find. Along with the costumes, supply them with hairspray (lots and lots of hairspray), temporary hair coloring and makeup with which to complete the look. Once everyone is dressed up, have them walk a runway to show off their looks (to eighties music, of course). Many 80's hit songs are still well known today, even among tweens and teens. Play a version of the old game show, Name That Tune with your party guests. Have players predict how many notes it will take them to recognize a song. Play that many notes, and if the player correctly names the title, she wins a point. If she can’t name it, but her competitor can, he gets the point. Choose some of the most iconic movies of the 80's (ones that kids should be able to recognize today, such as Ghostbusters, Pretty in Pink, The Empire Strikes Back, E.T. or Raiders of the Lost Ark, to name a few). Print images from the movies you choose (or print copies of the movie posters, but black out the titles). Hold up the images and see who can name the movie. In the eighties, television theme songs were almost as popular (and sometimes more) than the television shows themselves. Many kids today might not know the lyrics or recognize the songs, but with this game, you can have a little theme song fun at your eighties party anyhow. Print the lyrics to some of the popular theme songs from the eighties, but replace several of the words with blank spaces. Ask players to call out random nouns, verbs, adjectives, and adverbs, and write them in the blanks. Once all of the blanks have been filled in, read the revised song lyrics out loud and laugh.